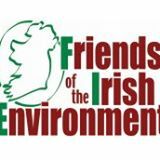 Founded in 1997, the Friends of the Irish Environment (FIE) has five main objectives: to monitor the development and implementation of European law in Ireland, to improve the Irish planning laws, encouage the implementation of the right to full public participation and access to justice, educate the public about environmental issues and seek the implementation of environmental and planning law through litigation. FIE works specifically on forestry, marine protection, fisheries, climate change, energy and protected areas. FIE carries out campaigns and takes legal action to achieve their objectives.